On offer at one of these local market events, you’ll find a fantastic selection of fresh produce including locally reared meat and poultry such as Suffolk Red Poll Beef, Sutton Hoo Chicken and Blythburgh Pork. 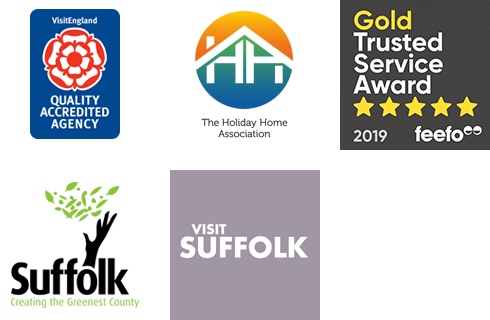 If you’re staying in one of our beautiful Suffolk cottages in Snape, Southwold, Aldeburgh, Lavenham or Woodbridge, we’re sure you’ll be delighted with the choice of tantalising homemade cakes and locally reared produce available at one of the farmer’s markets nearby. If you’re staying in one of our Lavenham cottages, do visit the farmer’s market which takes place in the village hall on the 4th Sunday of each month. Here you’ll find a delicious selection of fresh herbs, homemade pies, vegetables and fruit which is all sourced from within a thirty mile radius. If you’re staying in one of our Snape or Aldeburgh cottages, a visit to Snape Maltings’ farmer’s market is a real treat. Here you’ll find a range of wonderful producers including Pump St Bakery (from Orford), Felixtowe Artisan Smokehouse, Wild Meat Company (Blaxhall), Suffolk Honey (Lowestoft), and High House Fruit Farm (Sudbourne). For our guide on lots of other wonderful local Suffolk produce and when it's in season click here. When? 3rd Saturday of each month: 9am - 12noon.Where? Aldeburgh Church Hall, Victoria Road, Aldeburgh. When? 2nd Saturday of each month: 9am - 1pm.Where? The Old Print Works, Throughfare, Halesworth, Suffolk, IP19 8AP. When? 4th Sunday of each month: 10am - 1.30pm.Where? Lavenham Village Hall, Lavenham, CO10 9SQ. When? 3rd Saturday of each month: 10am - 1pm.Where? Village Memorial Hall, Hall Street, Long Melford, Sudbury, Suffolk, CO10 9JQ. When? 1st Saturday of each month: 10am - 1pm.Where? Village Hall, Aylmer close, Risby, Suffolk, IP28 6RT. When? 1st Saturday of each month: 9.30am - 1pm.Where? Snape Maltings, near Saxmundham, IP17 1SR. When? The Last Friday of each month: 9.30am - 2pm.Where? St Peters, Market Hill, Sudbury, CO10 2EA. When? The 2nd and 4th Saturday of each month, 9am - 1pm.Where? Woodbridge Community Centre, IP12 4AU. When? Every Saturday: 9am - 1pm.Where? Wyken Vineyard, Wyken near Bury St Edmunds, Suffolk, IP31 2DW.